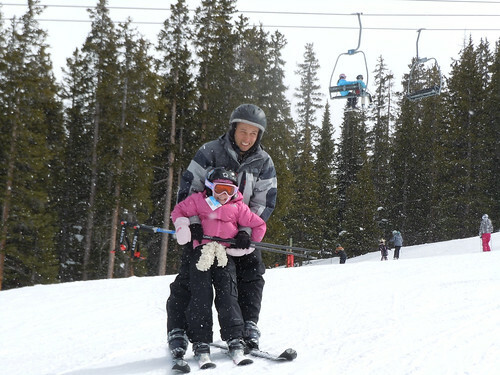 I started teaching Sydney to ski at 5. Reagan is now 5 so its her turn. But I didn’t have Sydney on her own yet so I figured Reagan would have to wait another year. This is probably a good call since Reagan is kind of a weenie. Always cold. Not the strongest legs in the world. I knew it would be more effort than it took with Sydney. But after a full day on Friday, Sydney was on her own. So that night, Sydney convinced Reagan that she needed to ski too. I knew it would be a challenge so we headed over to the smaller Cooper Mountain from the cabin. Took all of 12 minutes to get there. Score! We parked right up front, got right on the lift, and started down. I was happy to maximize the time from car to fun. 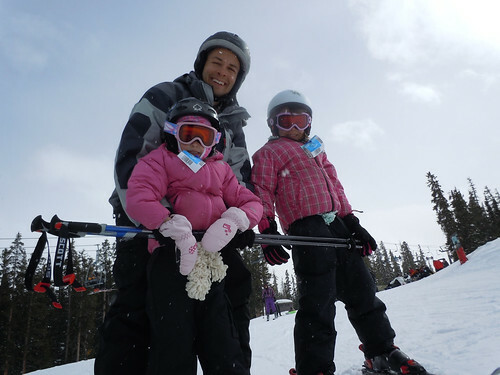 Sydney and Natalee took off and left Reagan and I to ski together for the day. Lots of leg work keeping her inside my legs all day. We got 4 or 5 runs in before Reagan got cold and was ready for a snack and was done. I was trying to get a photo of her but Reagan wouldn’t let me get far enough away from her to take a photo myself. Natalee luckily caught a few to document the day. 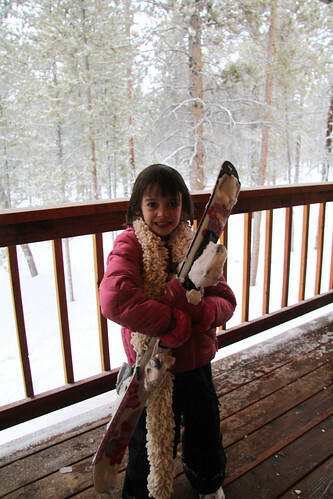 When Reagan got back home, she wanted to carry her skis in to show her mother what she did. She had lots of good stories and I think she had a good time. Hopefully, we will get out there a few more times this year. Once I have her on her own, I will be a pseudo-professional instructor!